What makes a Professional Profile Photo effective? Make your Personal Brand shine! You are here: Home / branding / What makes a Professional Profile Photo effective? What makes a Professional Profile Photo effective? Having a professional profile photo and LinkedIn headshot is a given nowadays. 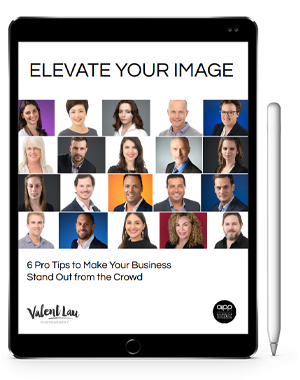 Whether it’s on LinkedIn, Google+, Facebook, or on your website, having a profile photo is a basic requirement everyone expects of a Sydney professional. But what makes a professional profile photo effective? LinkedIn’s 1st tip is that the photo must look like you. Sounds obvious doesn’t it? In Corporate Headshot Photography Sydney we face many people who want to get LinkedIn photos that are recognisable and show off their best side. Would a stranger recognise you from your photo? How recent is your photo? Have you changed your hair style or color? Have you bought a new pair of glasses? Most recruiters recommend you update your profile at least every second year. But there are some situations when you should update more frequently. Are you in an industry that requires frequently updated headshots, like acting? Do your competitors refresh regularly, like some real estate agents? Are you changing from a formal to casual company, or vice versa? Are you changing professions? The message your headshot should convey will change. Are you moving within Sydney? Businesses in the Eastern Suburbs have a different feel from ones in the West. Are you moving overseas? There may be cultural differences to account for. How many times do you have to make a 1st impression? If you don’t look like your profile photo, people may treat that as a mistruth. If that’s the first impression you make, what else would they think you may also be lying about? When we create your profile photograph, we work with you to create the best version of you, that is still you. We use effective posture and lighting to show you at your peak. Our touch when editing is light and delicate. When you meet that stranger for the first time, they will recognise you right away. What’s more, they will already have an impression of you as a friendly, trustworthy, confident professional. How much would that head start be worth to you? Valent Lau Photography provides Personal Branding Photography in studio in Coogee or at your business location. Contact us now and let us help you make your best first impression.